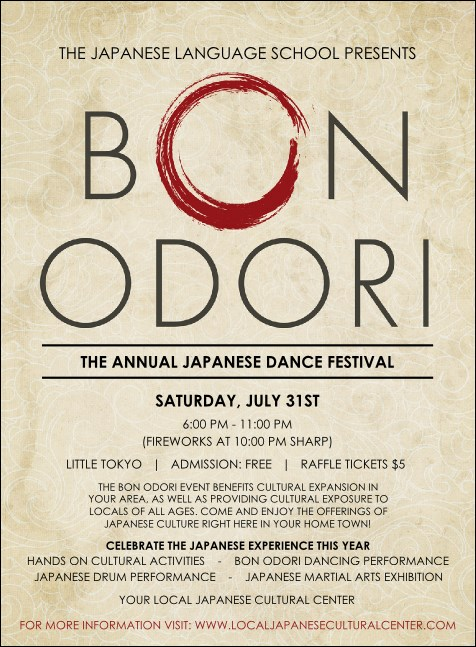 Everyone on your guest list will save the date for your Obon festival when they receive a Bon Odori Invitation by post. Neutral swirls in its background balance this template’s modern fonts and deep red brushstroke graphic. Personalize its fifteen available text lines to your needs in minutes. We’ll turn your order around and ship…fast. Reach out to those on your guest list and inspire their attendance with invitations from TicketPrinting.com.